Home to the Indy 500, Indianapolis might just be the “fastest” city in the United States. The Indianapolis Motor Speedway has welcomed racecars around its 2.5-mile oval circuit for more than 100 years. Today, it’s lauded as the largest single-day sporting event in the world. The city also plays host to 10 professional sports teams, including the Indianapolis Colts and the Indiana Pacers. With such an exciting sports roster, it’s clear why many Indianapolis residents invest in a game room in their homes — whether it’s for watching the game, playing games or both! 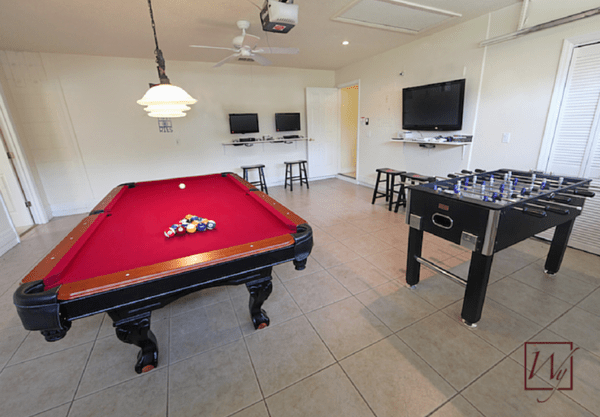 The best place for a game room is typically in the basement, where space is more available. However, the basement is also the coldest spot in the home. 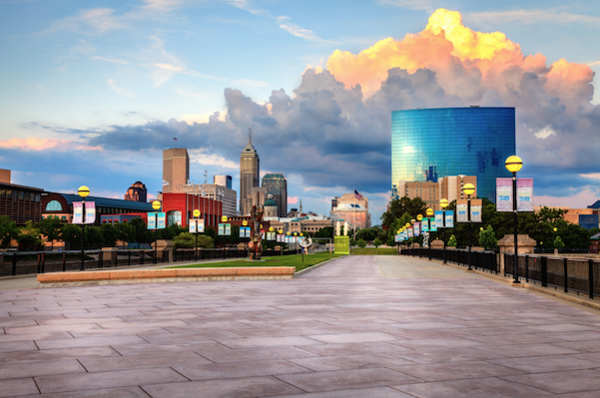 In Indianapolis, the temperature can get pretty chilly during the winter months. In fact, the temperature never rises above freezing for about 29 days during winter, according to currentresults.com. Additionally, the nightly temperature drops to 0 degrees Fahrenheit or below about four nights a year. Between November and March, the low is generally between 21 and 35 degrees Fahrenheit, and the high is generally between 36 and 52 degrees Fahrenheit. To warm up a game room in this chilly Indianapolis basement, this homeowner invested in a TempZone™ Flex Roll. It cost less than $1,000 for the heating element for this 131-square-foot room. To be precise, the 1.5- by 70-foot Flex Roll cost $945 and was cut and turned to fill 105 square feet of floor space in the room. This equates to a cost of just $9 per square foot. Because the heating element lies on top of a concrete slab, it’s important to use CeraZorb® synthetic cork underlayment to insulate the slab. 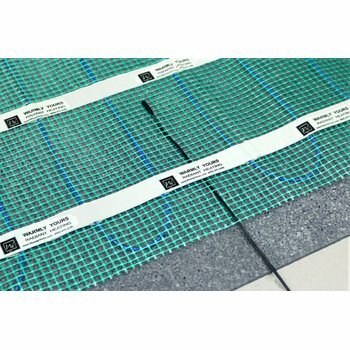 This ensures that the heat from the Flex Roll radiates upward through the floor instead of getting sucked down into the slab. As a result, the operating costs will be lower. To heat this game room for eight hours a day, it costs about 60 cents a day, according to WarmlyYours' Energy Use Calculator. Annually, that comes out to about $250, and during the coldest month of the year, the cost is under $55, according to calculations done by WarmlyYours' Heat Loss Calculator. 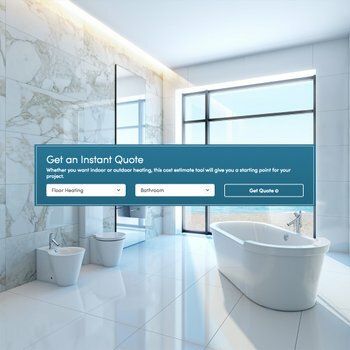 To determine how much it would cost to heat a room in your basement, check out WarmlyYours’ Instant Quote tool online. By submitting some information about your specific project, such as the square footage of the room and the flooring type, you will end up with a side-by-side comparison of the available radiant heating options for your room, including how much they’ll cost. You can also get a more detailed installation plan, which shows exactly how the floor-heating system should be installed, by uploading your floor plan online. Having this plan makes installation easier for you and also gives our technical team more information to help you through your installation if you have questions. Our technical support experts are available 24/7 at 800-875-5285. Whether you’re ready to sit down and enjoy the Indy 500, an Indianapolis Colts game, or even a game of your own make sure your room is comfortably warm with heated floors. What Does Adding Radiant Floor Heating to a Seattle Bathroom Cost? How Much Does Floor Heating Cost in a 72 Sq. Ft. Milwaukee Bathroom?